I have a sheet that contains a list of books, with metadata about those books. Two columns that exist are the library within which the book is stored, and the condition of the book. 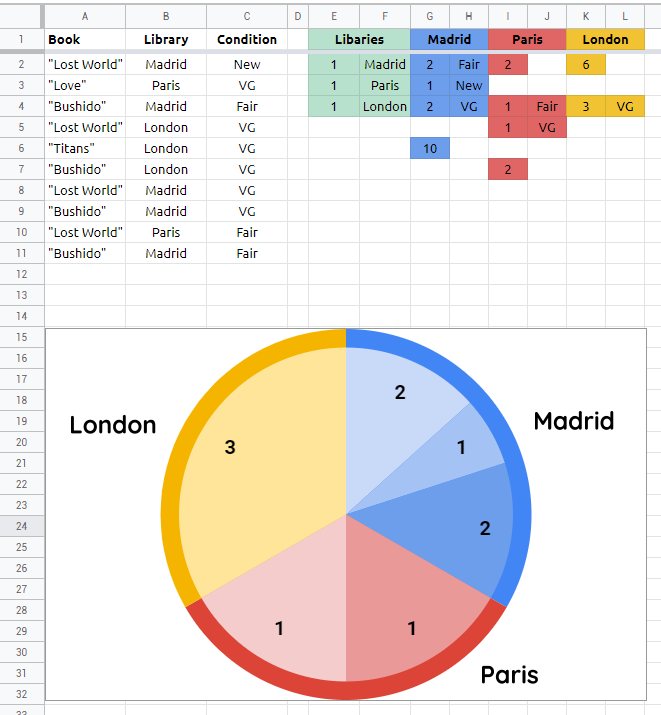 I'd like to create a chart showing the number of books in each condition, per the library. I'd like a table that used the Library column as labels, and had a display for each possible condition in each library. 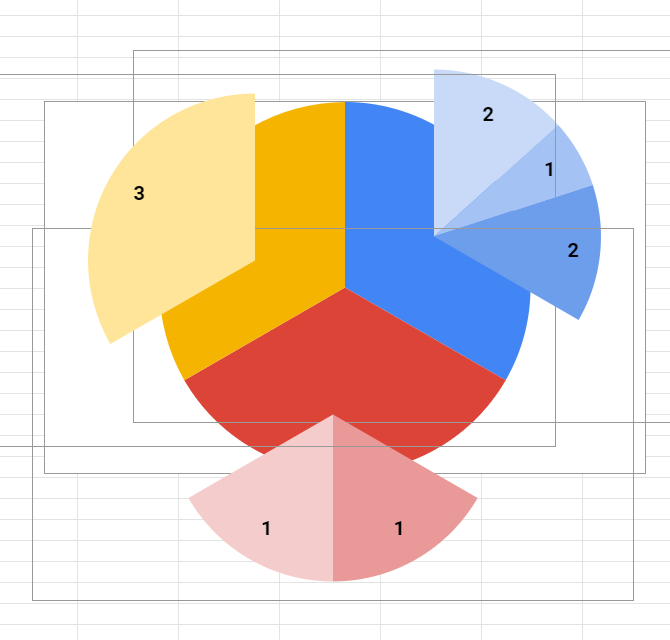 A cluster bar graph would work, but an ideal solution would be something like a double pie chart (where the large slice is the breakdown by the library, and that is the sliced by condition). Not the answer you're looking for? Browse other questions tagged google-sheets formulas google-sheets-query google-sheets-arrayformula google-sheets-charts or ask your own question. How do I add error bars based on a series?